Kseniya Thomas, owner of Thomas-Printers in Carlisle, Pa., and co-founder of Ladies of Letterpress, will share her passion for printing at the Sunday, Oct. 11 fair. Typecase Industries was founded in Washington, D.C., and has been successful since its inception. A gift tag by Typothecary Letterpress of Reading, Pa.
Letterpress printing is no longer your grandfather’s profession. Just ask Kseniya Thomas, co-founder of Ladies of Letterpress, owner of Thomas-Printers in Carlisle, Pa., and three-time exhibitor at the Lancaster Letterpress Printers Fair to be held 11 a.m. to 5 p.m. Sunday, Oct. 11 in historic Downtown Lancaster. Indeed 60 percent of the exhibitors at this annual celebration of printing are hands-on female entrepreneurs. 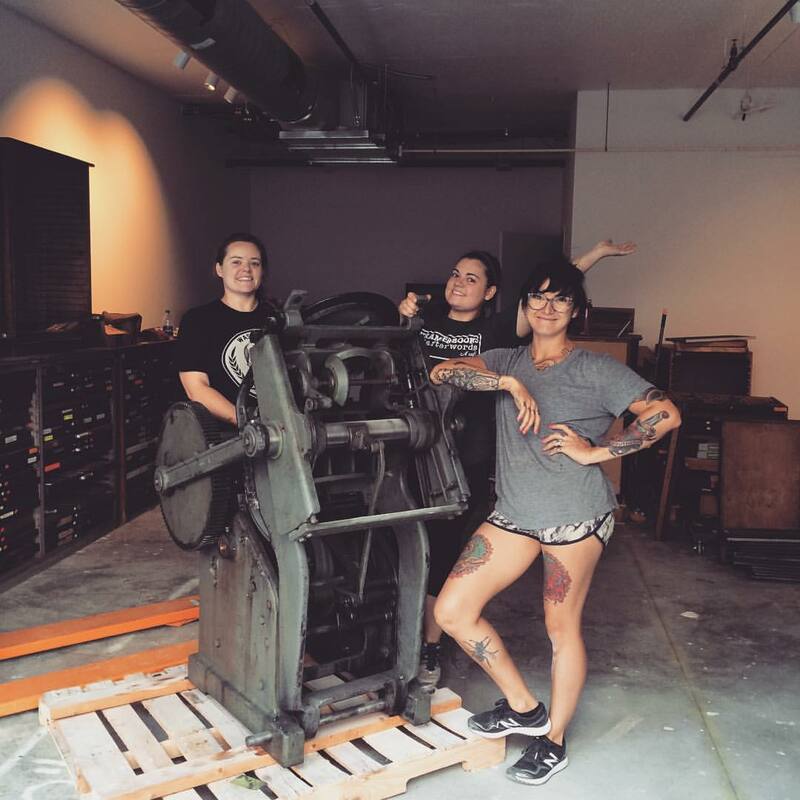 Typecase Industries, a first-time vendor at the Lancaster Letterpress Printers Fair, was founded in 2012 by three close friends with a passion for pursuing their dreams and is now a leading letterpress and design studio in metro DC. 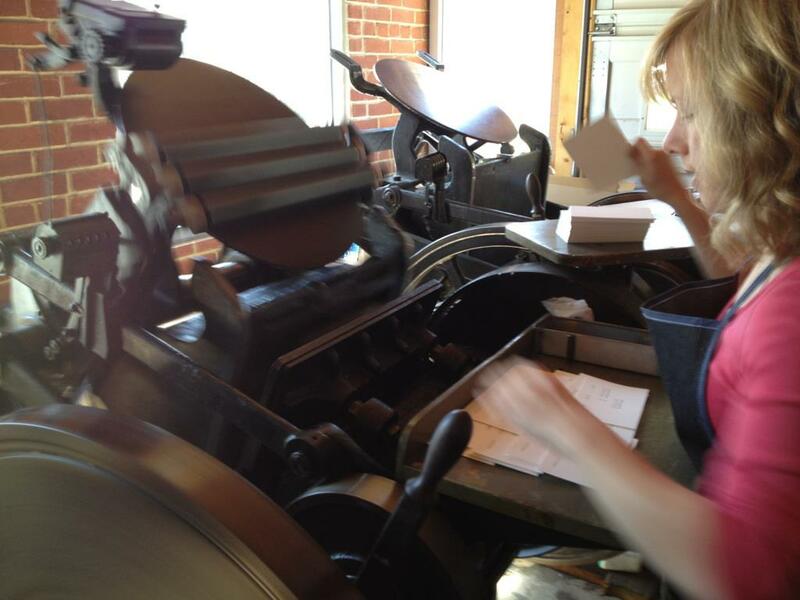 In 2011 Megan Zettlemoyer of Reading, Pa., began her foray into letterpress printing after visiting the Heritage Press Museum in Lancaster, which is run by the nonprofit .918 Club, organizer and benefactor of the Lancaster printing event. Her Typothecary Letterpress was born shortly after that visit. The event, which is the largest of its kind on the east coast, this year will be held atop the North Queen Street Garage, 424 N. Queen St. The event started in 2013 as a nod to Lancaster’s place in printing history (Did you know Ben Franklin had a print shop in Lancaster?) and features vendors and suppliers of letterpress equipment, foundry type, cards, posters, broadsides, ephemera, and more. There will also be demonstrations nearby in the Heritage Press Museum’s 1920s print shop located inside BUiLDiNG CHARACTER, 342 N. Queen St, rear, as well as activities for kids. New this year is a $5 admission (ages 16-under are free) to benefit the .918 Club’s Heritage Press Museum, a non-profit dedicated to the education and preservation of letterpress printing. WHEN: Sunday, Oct. 11, 2015 | 11 a.m.-5 p.m. DETAILS: Vendors selling printing supplies and handmade products.